Come experience what many in Birmingham, AL have with our cakes. It begins the minute you set eyes on one of our delectable desserts. A vision of lusciously swirled icing starts your taste buds tingling. Then a sweet heavenly aroma overcomes you as you anticipate what is to come. As you take that first bite of cake, an explosion of rich and moist flavors excite your senses. Whether you need a tasty pick-me-up or you need to impress your guests, our three-tier cakes, cupcakes, or pastries will hit that sweet spot. Anticipating you're wedding day? 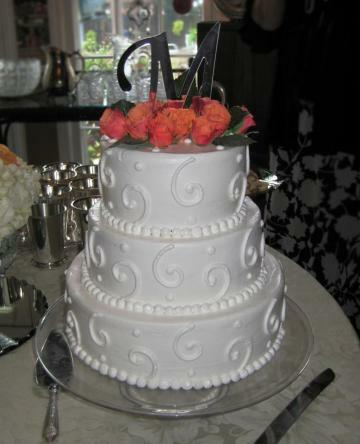 Let us create the wedding cake of your dreams! With our skilled staff and attention to detail, we will craft a beautifully stunning and delicious cake that will leave you and your guests in awe! For all you're fun occasions, our bakery is here to make you're day truly special! We can create mouth-watering and artfully designed birthday cakes that perfectly match your style and taste! Looking for sweet treats perfect for any occasion? We have what you're looking for. From thematic, cupcakes to fine pastries, we offer a variety of desserts that are sure to satisfy your cravings!